CUP PROFILE: Roasted Almond, Peanut, Dark Chocolate, Buttery Finish. For maximum mobility and convenience, we bundled a premium disposable drip bag with each sachet. Now, all you need is a cup and hot water to satisfy your coffee addiction! Free Delivery to Singapore & Malaysia! Roastedly® never compromise with our quality and avail only coffee of premium to specialty grade (mostly are Single Origin) where the producing estate/farm can also be traced, presenting you the best coffee, with the convenience to be enjoyed anytime and anywhere. 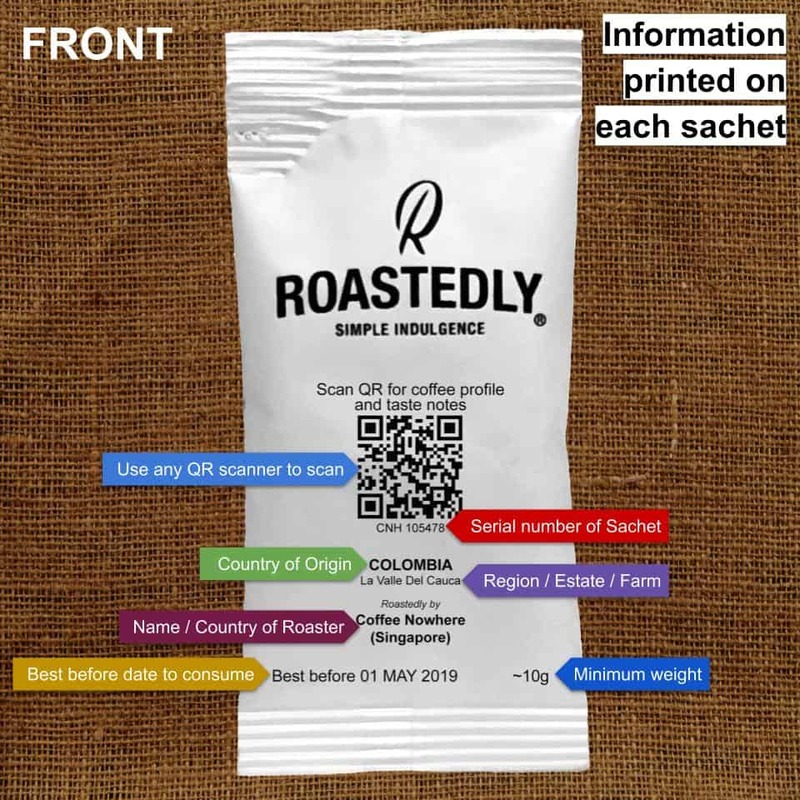 We carefully source for great coffee from reputable roasters from around the world, carry out a stringent cupping process to derive the taste notes and suitable grind size for that specific coffee. 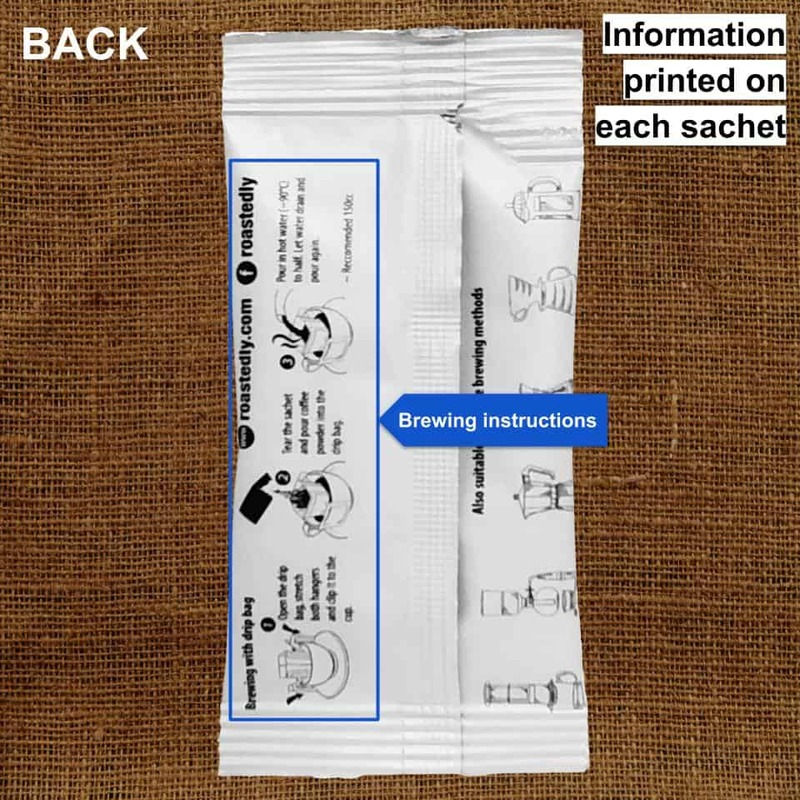 Thereafter, coffee beans are grind and sealed into single serve size sachet made of specially indented aluminum wrappers. 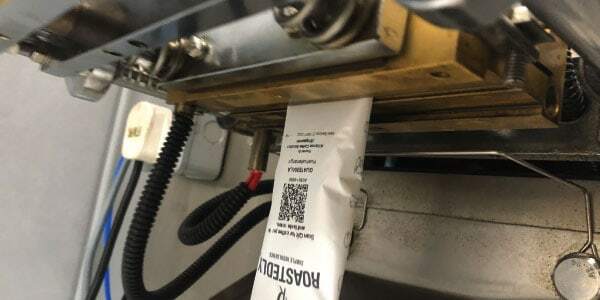 The sachet is then flushed and sealed with nitrogen to ensure the freshness of coffee as well as longevity shelf life of up to 18 months. 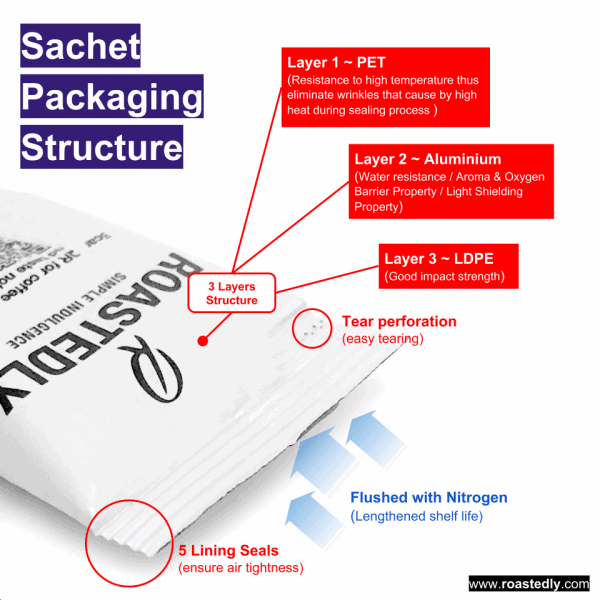 To offer maximum mobility and convenience, we provide a premium disposable drip bag bundled with each sachet. Now, all you need is a cup and hot water to satisfy your coffee addiction! General coffee information such as coffee origin, estate, roasters and a QR code are printed on each sachet. To get complete information of the coffee, simply scan the QR code and it will present all the information. Fazenda Cruzeiro is located in the Cerrado Mineiro region and benefits from up to 1800 to 2000mm/year of rainfall, which makes irrigation unnecessary. The rainy season always falls before May, which also guarantees perfect conditions for natural drying process. The biggest innovation that Cruzeiro has implemented with regards to quality is the use of silo dryers in the processing of their coffee. These silos are commonly used for seeds and other grains and help control and manage the drying process. Their use in drying coffee has produced excellent results in the cup due to the slower drying process under controlled temperature, which increases uniformity and prevents overfermentation. Furthermore, by using eucalyptus from the farm to fuel the fire for the drying process. Started in the Southern State of Malaysia a town called Johor Bahru in 2014. For us coffee bean is more than an ordinary cup of daily beverage. It contain different characteristics & flavor, all those hard work can be started from the Plantation, Roasting till Brewing. We are mainly focus on the stage from Roasting until Brewing, based on the “seed to cup” principal, what we really looking into matter from selected well taken care coffee bean , proper coffee roasting to highlight the coffee bean potential, last but not least, apply the coffee brewing technique add on the finishing touch of the beverage. We truly cherish the relationship in between consumer, industry peers & trader for understanding the all the work from “behind the scene” through our coffee presentation or platform. All those hard work will be belong to everyone, who love the coffee just like we do.